PARENTING has never been more stressful, with mums and dads moving cities even countries for jobs, leaving behind the backup of family and friends, experts say. 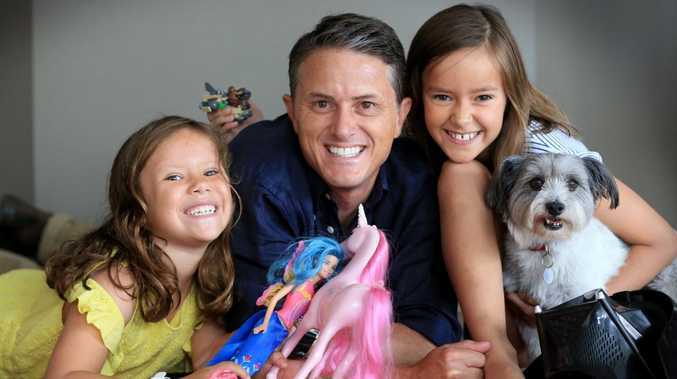 The Sunday Mail has joined with parenting experts Triple P and Channel 7 to empower parents and make their voices heard. The Queensland Parenting Survey aims to highlight the concerns, and successes, of Queensland parents in the biggest campaign of its type in the state. Triple P founder and clinical psychologist Professor Matt Sanders said parents were facing constant challenges but with help parents can feel empowered to set firm rules under which children flourish. "Children thrive when raised in a calm, nurturing, consistent environment, with rules and routines they understand, and where consequences are applied consistently and appropriately. That's why Triple P programs focus on encouraging and empowering parents to put into practice simple parenting strategies that have been proven to improve family life and to work across cultures and different family structures," he said. 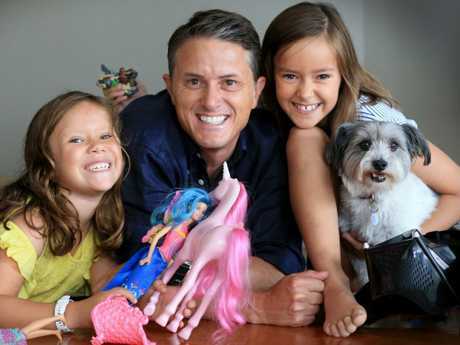 Seven News presenter Max Futcher, dad to Ava, 9 and Stella, 7, believes that parents are racing to keep up with rapid societal changes. "When I was young I'd disappear for a whole day on my bike and only come home for dinner. Now, my daughters can't go down the road to the park unless we're with them. It's sad in a way, and I'm not sure if it's because the world was safer back then, or because now we're more aware of the risks," he said. Technology and screen time is a modern day headache when it comes to children. "We haven't yet given the girls their own phones and any screen time is on our devices. So far, that's been limited to YouTube with kids' filters on or their own filtered Netflix accounts," he said. The girls are encouraged to read books at the weekend. 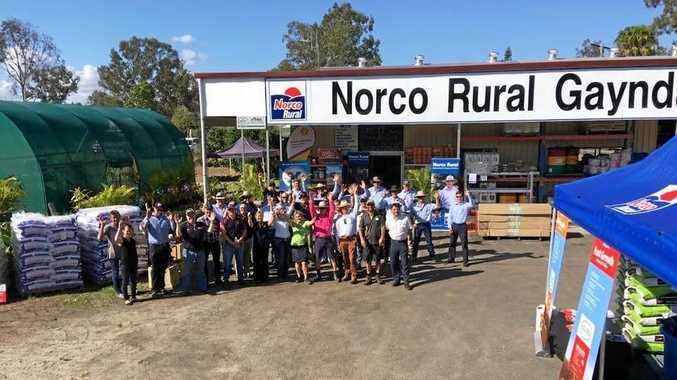 "In previous generations literally a 'village' would help raise a child as there was always help at hand from extended family and grandparents. Today's parents are often doing it alone and it has become "unbelievably hard," Dr Michael Carr-Gregg told The Sunday Mail. In just one generation children have gone from fearlessly roaming the streets until dark, lost in adventure, to one in 10 never going further than their front door. "Ironically, despite being stuck on the couch, children have never been in more danger. The internet opens a world of threats unknown to the previous generation," he said. "Many parents struggle to deal with these dangers while trying to juggle a job, pay a mortgage, look after their own relationship and try to stay healthy. Q. Do you think parenting is more difficult now than when you were a child? A. Perhaps not more difficult, just very different. The internet and social media are ever-changing. As parents, we're racing to keep up, while at the same time trying to guide our children down the right path. Q. What are the biggest challenges of being a parent? A. With the girls still relatively young - 7 and 9 - we're trying to reinforce a set of values they can carry through their lives. We're very fortunate that they both have a nice circle of friends and are great friends with each other. However, when they go to school, you have to let go and let them find their own place. Of course there will be the possibility of bullying, and it breaks your heart to know it might happen, but navigating that is sometimes part of growing. Whether on devices or TV, Kim and I try to keep a handle on screen time. We prefer them to read on weeknights if homework is finished (although Stella loves cooking shows), and PlayStation is only for short stints on weekends. Q. Do you parent the same way your parents did? A. My approach is different to my mum and dad, but then the challenges are different. I do think I'm too strict on them, but not quite 'helicopter'. I think my wife Kim is more lenient, although if I'm honest, she probably has the mix right.